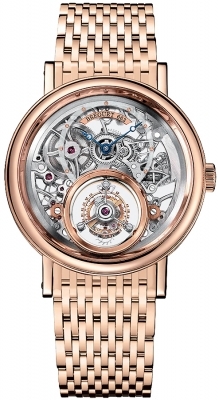 An Amazing Creation By Breguet. 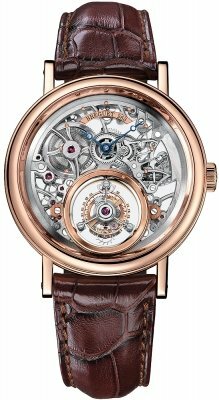 Named in honor of the brand founder Abraham Louis Breguet in tribute to the Tourbillon invention, which was patented on 7 Messidor year IX (June 26, 1801) according to the French revolutionary calendar. Off-Centered Hours & Minutes, set at the top of the dial. 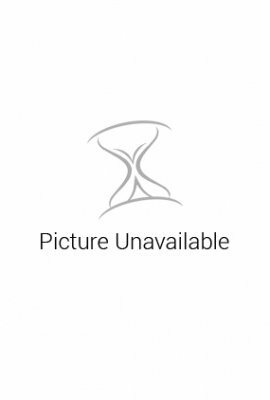 Rose Gold Dot hour markers set in the crystal. 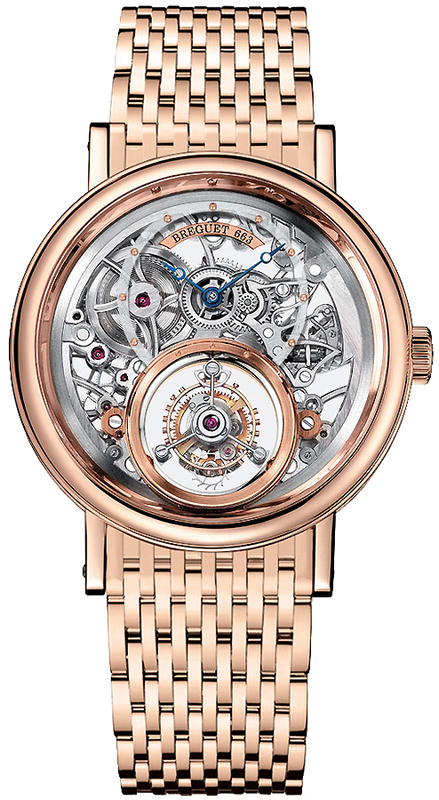 Rose Gold Tourbillon cage is mounted between two sapphire crystals at the 6 o'clock position, giving the impression that the cage is suspended & not connected to the movement. With an integrated seconds hand. Skeleton Movement with all components hand finished. Bridges & Gears have a fine brushed finish with Beveled edges. Seconds hand mounted on the Tourbillon carriage. 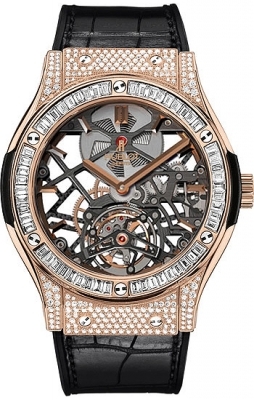 Breguet Caliber 558 SQ2, with 25 Jewels, Approximate 50 Hour Power Reserve.